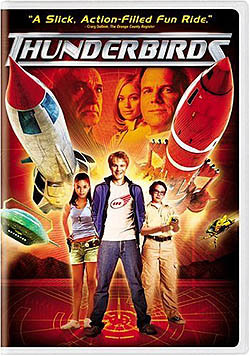 Having narrowly averted a major disaster on an oil rig, the Thunderbirds have just returned home to their secret base when TB5, their space based station, is critically damaged in a suspected meteor strike. Unbeknown to them, the attack on TB5 is a deliberate ploy by international master criminal Aristotle Spode to get them off the island. He takes over the island and forces Brains into submission, using the power of his mind. But Spode has overlooked one key factor: Alan, Fermat and Tin Tin are still on the island.